Dr Jan Stewart will be presenting on “Addressing the needs of refugee students: Building trauma-sensitive schools and supportive classrooms” at the Canadian Museum for Human Rights in Winnipeg on Thursday, March 7. The presentation will be livestreamed in Toronto from 5:30- 8:30 pm ET at CERIC’s office in partnership with the Ontario and Manitoba affiliates of the ASCD (formerly known as the Association for Supervision and Curriculum Development). The Toronto event is open to educators, career development professionals, and social, community and settlement workers seeking to better support the needs of students who are experiencing trauma. Included in the $30 registration fee is a light dinner as well as a copy of Dr Stewart’s new book (co-authored with Dr Lorna Martin), Bridging Two Worlds: Supporting Newcomer and Refugee Youth. This presentation draws on findings from a three-year CERIC-funded research program that examined best practices for supporting refugee student integration in schools and communities. A model for creating trauma-sensitive schools and recommendations for providing culturally responsive and inclusive strategies to meet the needs of vulnerable youth will be shared. 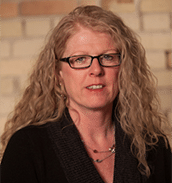 Jan Stewart, PhD, is Deputy Provost and Associate Vice President, Academic at The University of Winnipeg and a Professor in the Faculty of Education. With over 30 years of teaching, research and field experience, Dr Stewart has achieved expertise working with children and youth affected by conflict, trauma, violence, abuse, mental health issues, neglect and human rights violations. She has led international research and teacher development programs in Zimbabwe, South Sudan and Uganda and has conducted national and international seminars and conferences around the world. 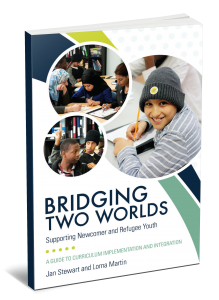 CERIC published Bridging Two Worlds: Supporting Newcomer and Refugee Youth in January 2018 to empower educators to deliver more culturally responsive career guidance and better integrate the growing number of newcomer and refugee students into our schools. The book is available for purchase or free download at www.ceric.ca/twoworlds. ASCD is a non-profit, non-partisan organization that represents 175,000 educators from more than 135 countries and 58 affiliates. Its members reflect all facets of the education system –superintendents, principals, vice principals, consultants, teachers, professors of education, ministry and district school board members. In Canada, ASCD engages this diverse learning community of provincial and national educators in reflective dialogue and acts as a guiding voice in education practice, curriculum and policy.